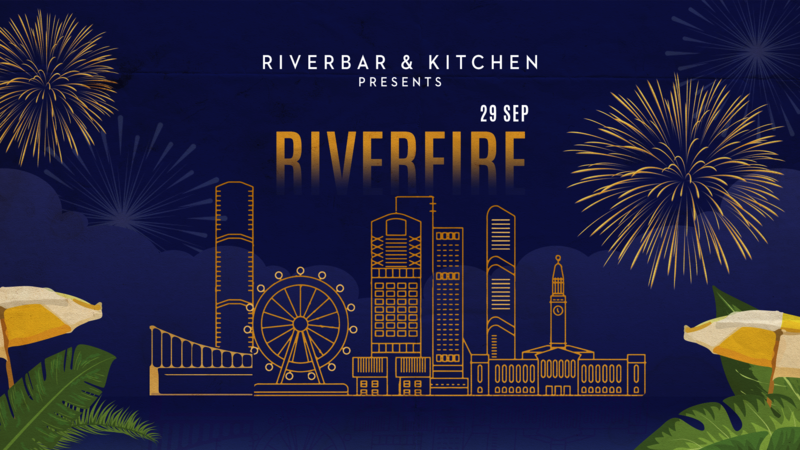 Riverbar & Kitchen is again set to be the unofficial party venue for Riverfire 2018. Located just metres from the riverbank, and with 180-degree views of the Brisbane River and Story Bridge, Riverbar & Kitchen provides the best front seat in the house to enjoy the dazzling display. With the wide open-spaces of their beautiful garden bar, it’s the perfect riverfront oasis in the city for groups, large and small to celebrate and make the most of one of Brisbane’s biggest event of the year. Watch the spectacular sky show to the sounds of DJ sets playing late into the evening. For only $99 per person, guests will indulge in a generous 3-hour beverage package (tap beer and house wine) together with roving canapes and food stations. There’s no better way to celebrate Riverfire than at Brisbane’s favourite riverside party venue. Our event will go ahead rain, hail, or shine.